We also want to congratulate our 2017 Raffle Winners ! 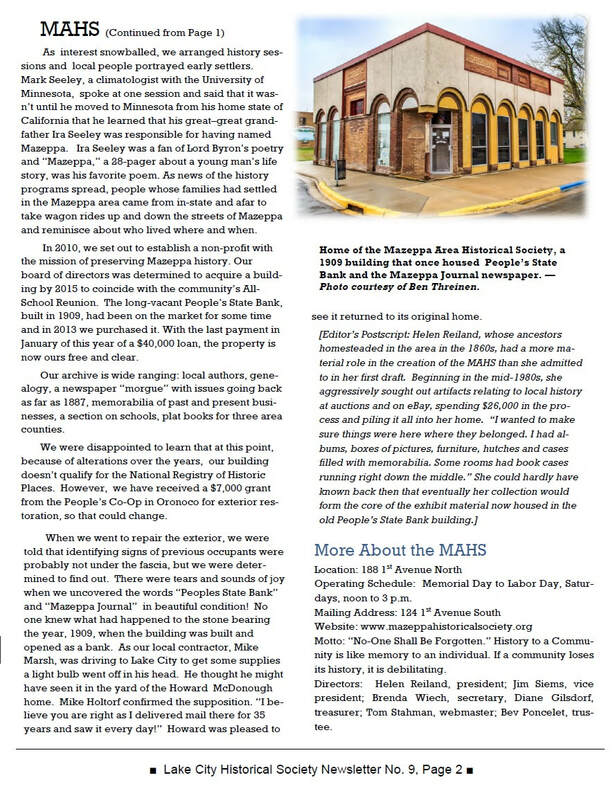 In June we were proud that our friends at The Lake City Historical Society included an article in their Newsletter about us ! Written by our president Helen Reiland. Here is the article that was published in time for Lake City's Water Ski Day's. Photo's by: Brenda Weich, Joe Weber, Tom Stahman, Lori Holland, Mazeppa Fire Department, TB Aerial Photography, and fellow Facebook users ! Thank You !! The Friendship Wagon Train started its trek on Saturday, June 24 in Owatonna. Now in its 29th year, the Friendship Wagon Train raises money so that children and adults with developmental disabilities can attend Camp Winnebago near Caledonia. 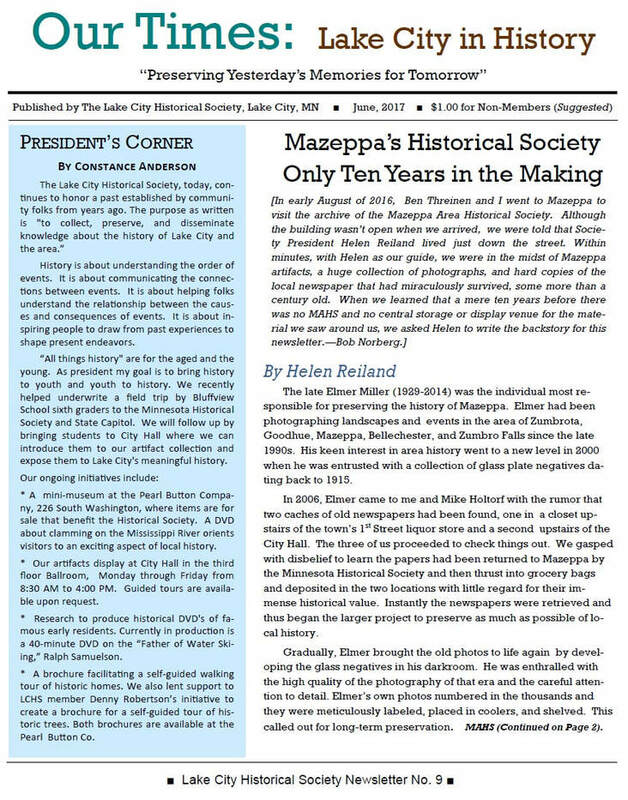 On June 29th the wagon train came to Mazeppa. They camped overnight, down by the river near the athletic field. They left to continue on their journey, early Friday morning.